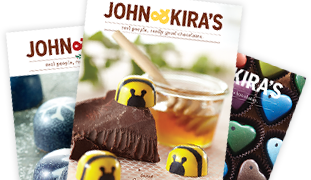 The perfect Spring chocolate gift, our set of three honey lavender ganache filled chocolate Ladybugs, three mint ganache filled chocolate ladybugs, and three Chocolate Honey Caramel Bees comes nestled in a beautiful boutique box finished with a letter-pressed card. 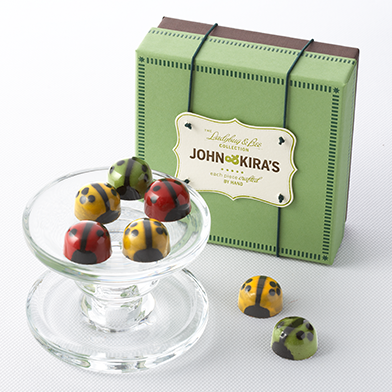 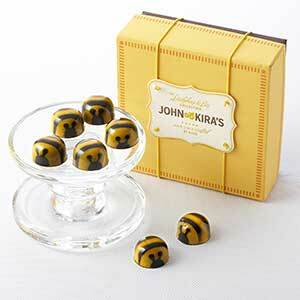 Our Bee chocolates have a smooth, liquid caramel center and a clear, caramelized honey taste, featuring honey from the Draper Family Apiaries in Millerton, PA. Each unique 62% Valrhona dark chocolate shell is meticulously painted by hand. 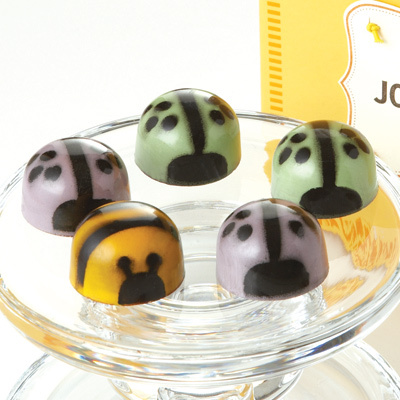 My very favorite were the honey caramel bees - but all three flavors were exceptional! 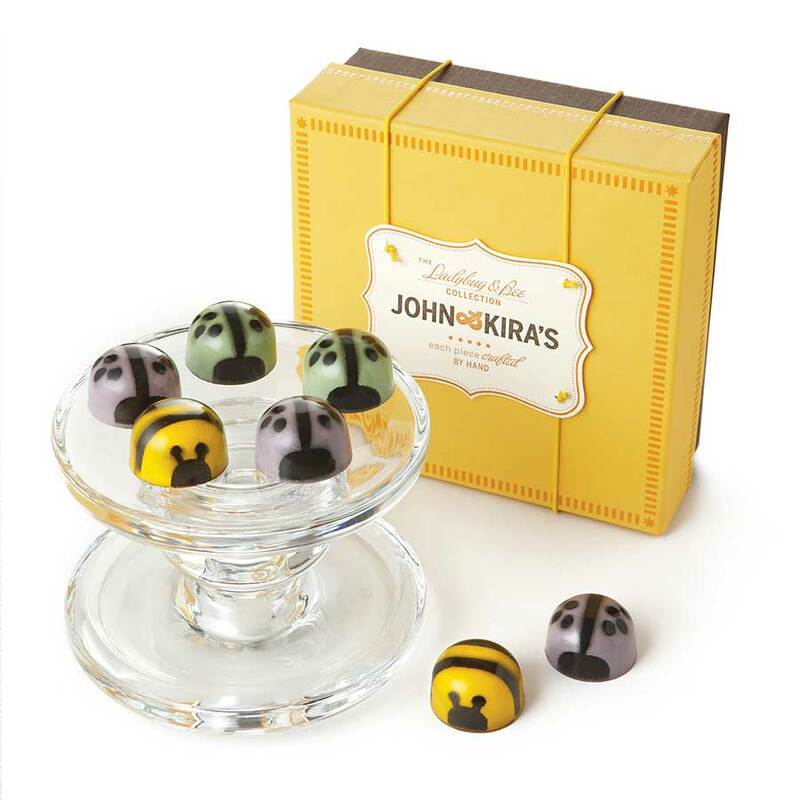 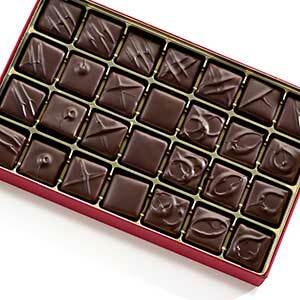 I bought this set for myself, but I think your beautiful chocolates will make great gifts for upcoming events!